This recipe calls it like it is. That's right, it's zucchini cake, as opposed to zucchini bread. Oftentimes, we hear bread paired with a fruit or veggie and think it's healthy, while we know what's really going on in there. 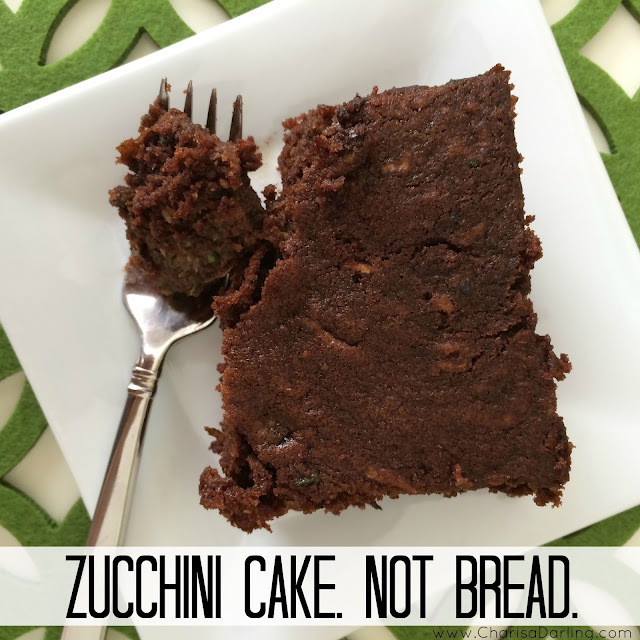 It's got sugar, cocoa powder, and chocolate chips and tastes like really good zucchini bread. What makes it more cake-like is the shape and the amount, which is enough for an army, so you won't be running out anytime soon. I found this recipe in last month's Penzey's magazine, which is one of my favorites, because you can tell they're tried and true. Like straight from Grandma. Again, this makes a lot of cake. The recipe could easily be halved and baked in a smaller dish, or be baked in loaf tins and frozen for later, or simply to be shared with friends. It calls for "3, 6-inch zucchini's, grated" and I'm thinking mine were a little on the thick side. If I'd do it again, I'd either buy skinnier zucchini's or not add as much. The extra bulk made it take longer to bake, but the outcome was still good. That being said, I did do a few things differently. 1. I didn't have buttermilk, so I just added a few drops of vinegar to milk. 2. I added a bit more of the spices than what was called for. 3. The recipe calls for 2 1/2 cups of flour - for 1 cup of that I used whole wheat flour. Not because I was trying to make it healthier, I simply ran out of white flour. Oops. My kids and I loved, loved, loved this and I think you will to. Find the complete recipe here. 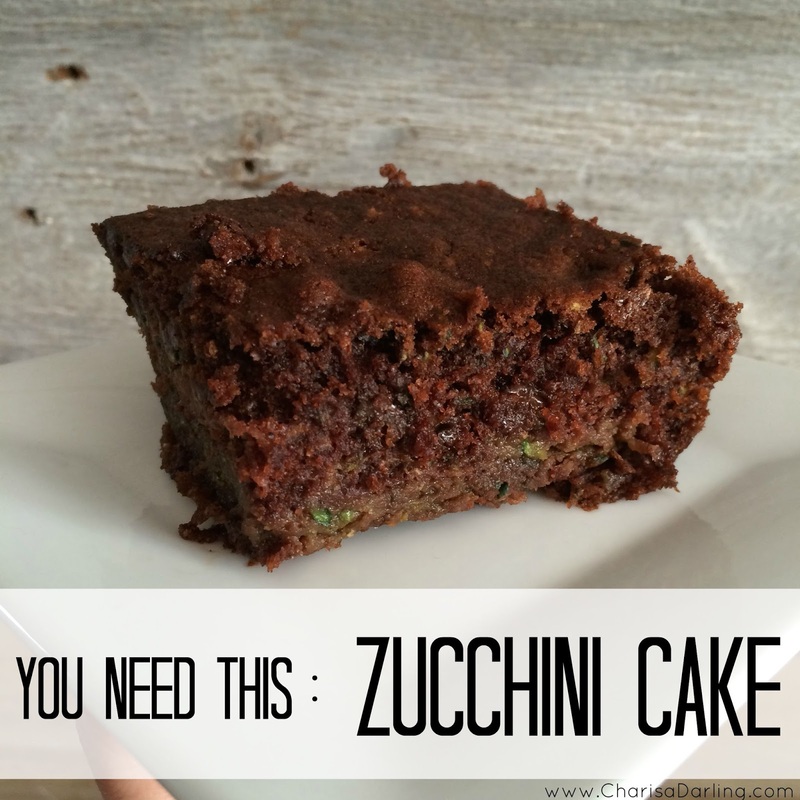 I love zucchini bread so I might have to make this. Looks delish...sis! Looks moist and delicious. I can even see the tiny bits of zucchini in it. Yum! Thanks for stopping by Erlene! It was really good!